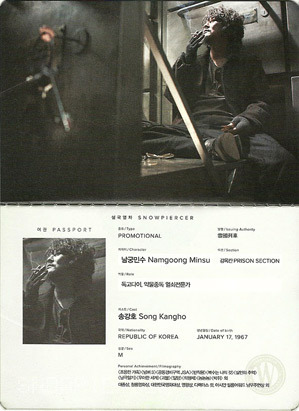 Type: Promotional. Nine characters - and one director! 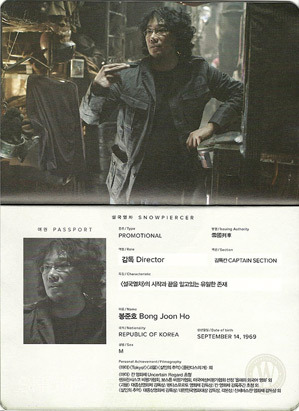 One of the sci-fi movies we're anxiously awaiting this summer is Joon-ho Bong's Snowpiercer, a post-apocalyptic ensemble action drama set entirely on one massive train during the next ice age. 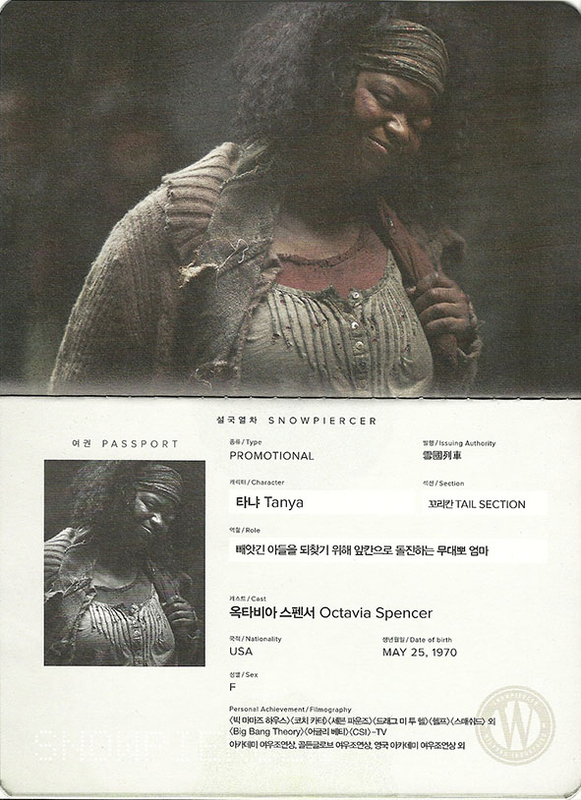 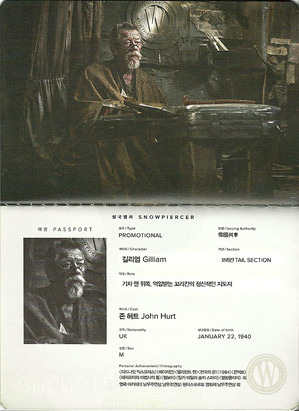 We've featured a couple of different posters and images from the film already, but our friends at Movies.com came across the Snowpiercer motherload - a set of 10 "passport" photos featuring our first look at 9 different characters, and one for director Joon-ho Bong himself. We finally get to see Chris Evans, Tilda Swinton (! ), John Hurt, Kang-ho Song, Jamie Bell and others. 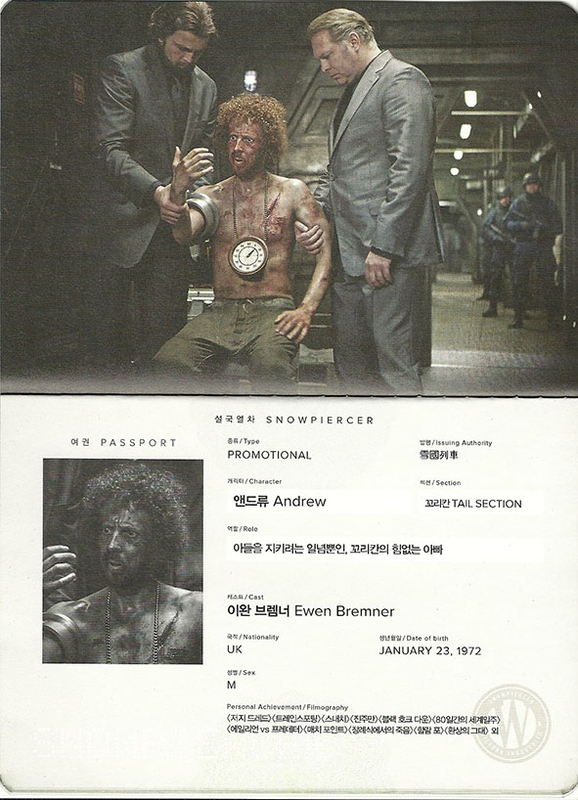 I love that these are scanned photos from actually real passport promos, such a cool way to market this film. 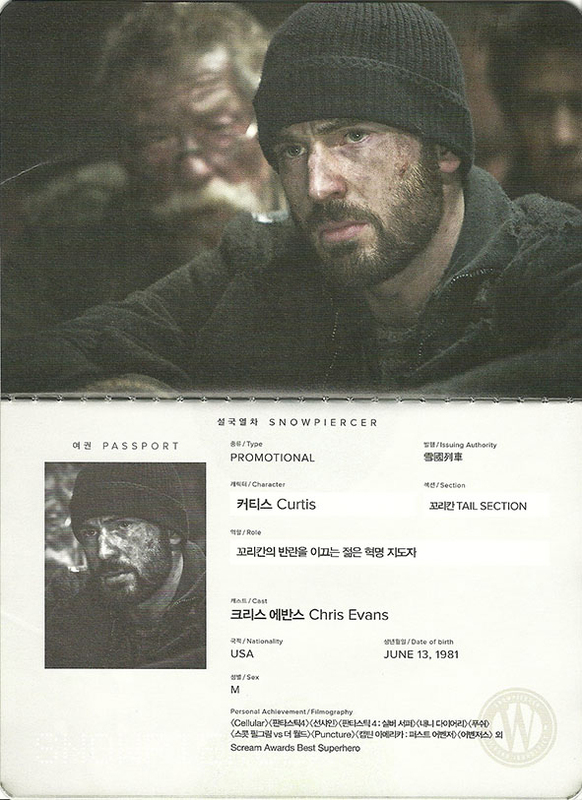 The cast for Snow Piercer includes Chris Evans along with Ed Harris, Jamie Bell, Alison Pill, John Hurt, Oscar winners Tilda Swinton and Octavia Spencer, Ewen Bremner, Luke Pasqualino and Kang-ho Song as passengers on the train. 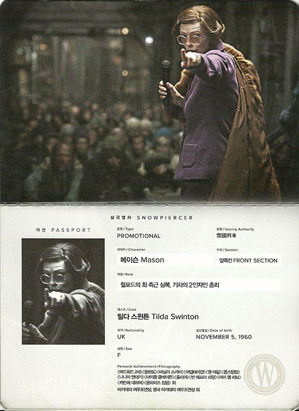 Joon-ho describes Snow Piercer as a post-apocalyptic movie about a few survivors who end up on a massive train that is divided by economic classes. "With a revolt brewing onboard, the Snow Piercer is a train of Earth's lone survivors that travels around the cold world." 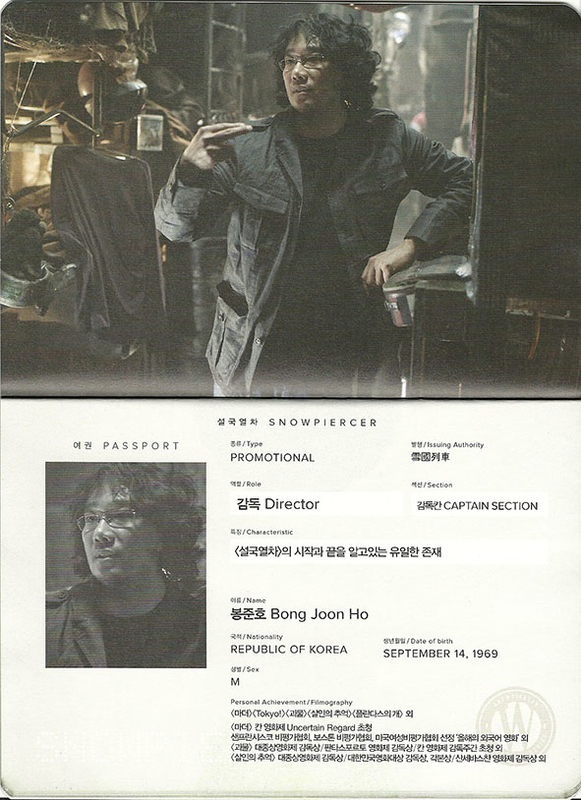 We expect Joon-ho Bong's Snowpiercer to premiere at the Cannes Film Festival early this summer. 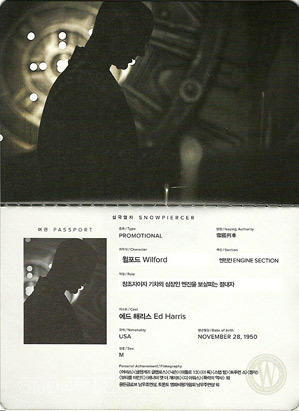 The Weinstein Company is also planning a "wide summer 2013" release for the film, but no date has been set yet. Very cool. This will rock. 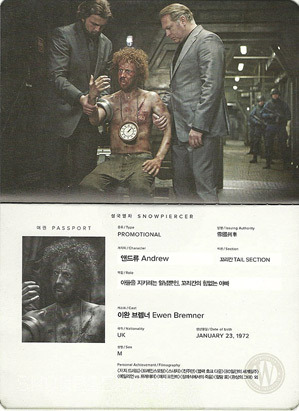 I sort of enjoyed The Last Stand but it disappointed me nevertheless. 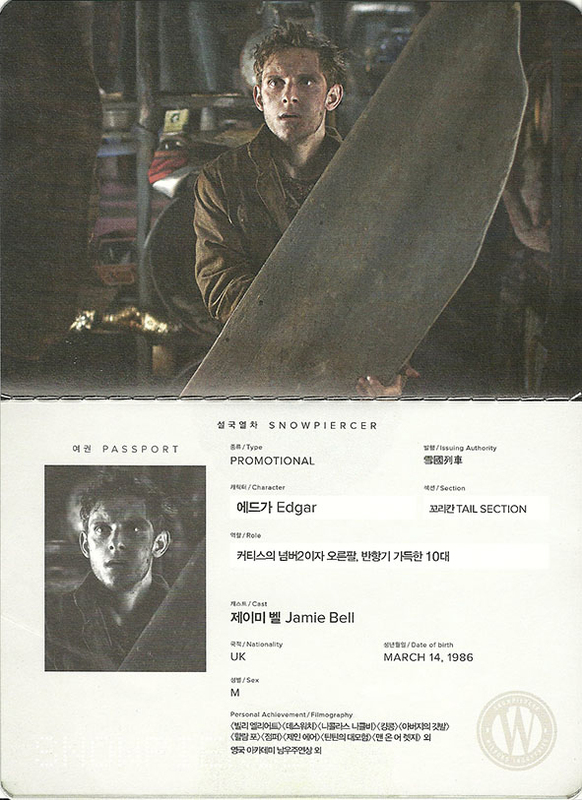 Still got to see Stoker. Not sure if you are mixing up 3 Director's or just Asian movies. 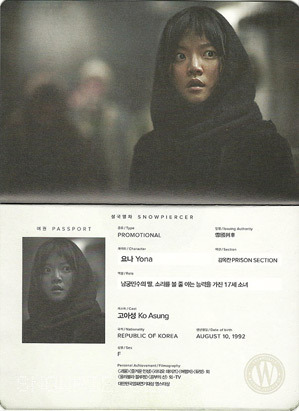 In fact three (super) Koreans and their English debuts.